Some people’s relationship with food is more of a passionate love affair. They take sensual pleasure in preparing it, and may even feel a hint of guilt when indulging in it. To them, food is pleasure, cooking is art, and the perfect dish is akin to a little piece of heaven. Although not everybody has such strong feelings about culinary art, nobody can deny the fact that food is often much more than just a means to satisfy one’s hunger. Food brings people together, and great food brings people even closer. Anyone who has watched “Babette’s Feast”(1987) will remember the superb final scene, depicting Babette’s sumptuous French dinner being served to a small congregation of unusually austere people. Her guests, who are used to plain meals typical of their chaste existence, are presented with a feast which is lavish beyond their wildest dreams. In that final scene we witness a fascinating transformation of energy among the invitees who initially find it almost sinful to comment on the earthly pleasures of their meal but whose inhibitions vanish as they discover exquisite flavors they had never before dreamed of. The feast elevates them to a physical and spiritual delight that mystically affects the dynamics of the diners and changes the atmosphere among them entirely. There is no denying that the act of sharing a flavorsome meal with others can have a real effect on those partaking in it. But what if such an exchange could take place outside the delimited space of a dining room in a house, or a table at a restaurant? For instance in a public area, where more people could participate in the tasting … what effect could it have then? 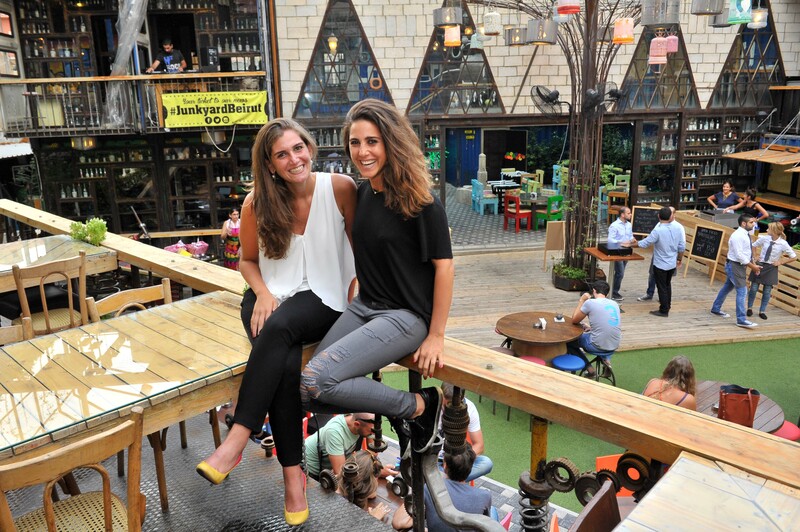 The answer is provided by Youmna Mteiny & Zeina Halawi – an energetic duo who are forging the trend of ‘street food’, one event at a time! 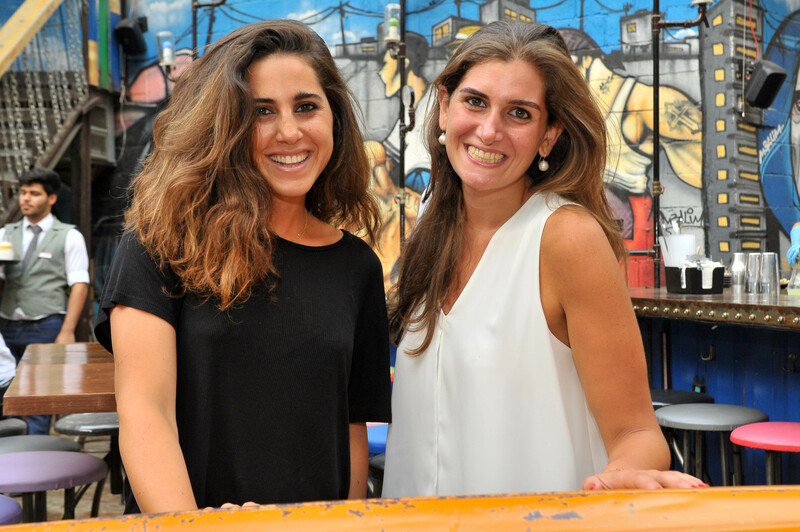 Youmna and Zeina merged their respective know-how in design and hospitality during March of this year, and kick started their endeavor of introducing new flavors to our scene through the “Beirut Street Food Festival (BSFF)”. 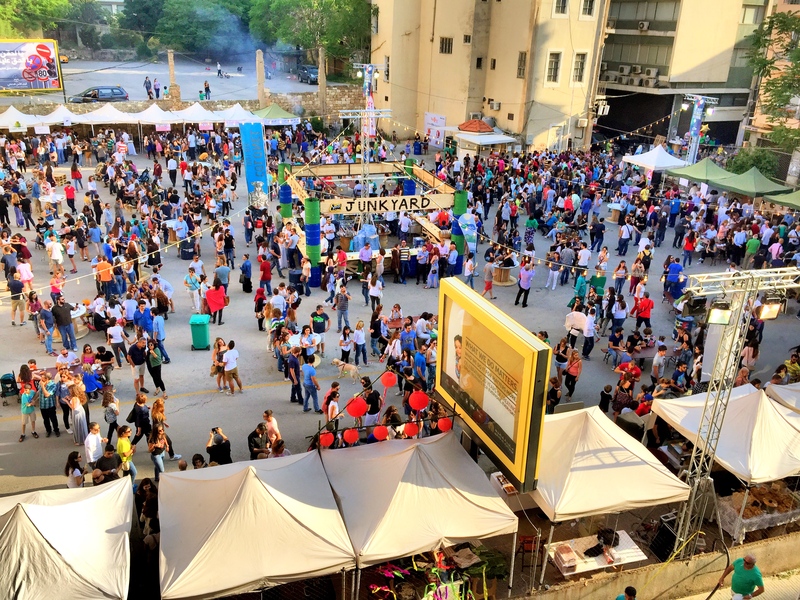 That event, which took place last May at a public parking lot in Monot (Beirut), gathered 30 chefs and food lovers who presented both traditional and personally-crafted recipes ones to more than 10,000 participants. There were no company labels to be seen and no references to the professionals amongst the chefs, only an attractive name relating to the dish being served at each stand. This intentional simplification made it more exciting for both the cooks and the tasters to discover new plates without any preconceptions. However, this successful event is only part of Youmna & Zeina’s bigger vision. Indeed, they have the goal of becoming trendsetters in Lebanon’s hospitality industry, weaving a solid community from the culinary sphere and elevating our food-loving nation to a higher level while turning this yearly festival into a celebration recognized by the entire MENA region. This might seem an ambitious goal considering their young age, but their palpable energy suggests otherwise. The pair, who completed their Master’s Degrees in ‘Culinary Management & Innovation’ at the esteemed ‘Institut Paul Bocuse’ in France, had each taken a culinary course at the institute before deciding to embark on the full program, a year apart from one another. For Zeina, it was another personal reward, in addition to the ‘International Etiquette and Protocol’ course which she had taken at the ‘Institut Villa Pierrefeu’. For Youmna, it was her graduation gift! Their paths eventually crossed, leading them to partner up and build a culinary art platform in the shape of the non-profit organization ‘BSFF’. And even though this initiative is far from being the bread and butter of the two ‘Culinary Concept Creators’, they are giving it equal importance. What makes them stand out from the crowd is their approach, which draws simultaneously on Youmna’s industrial design background as well as Zeina’s hospitality management experience in some of the best luxury hotels in Asia. 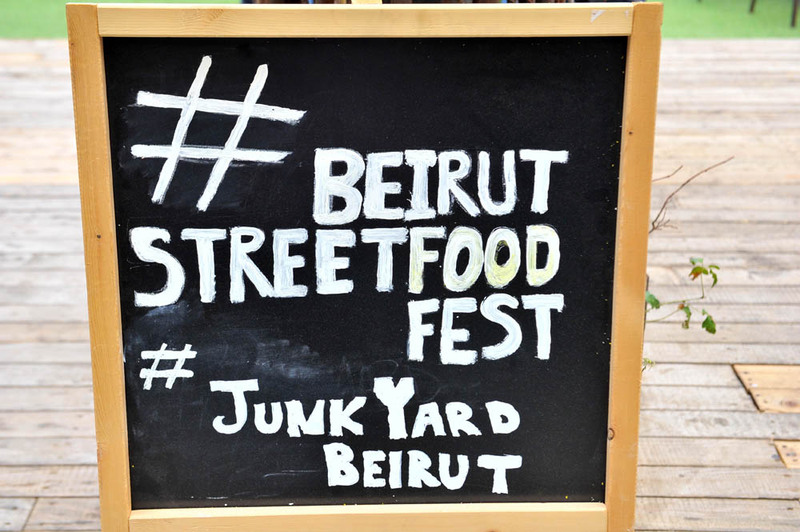 The Beirut Street Food Festival was both the trigger for their mission, and what set off its momentum. In order to keep that momentum alive, they have created “Discover”. 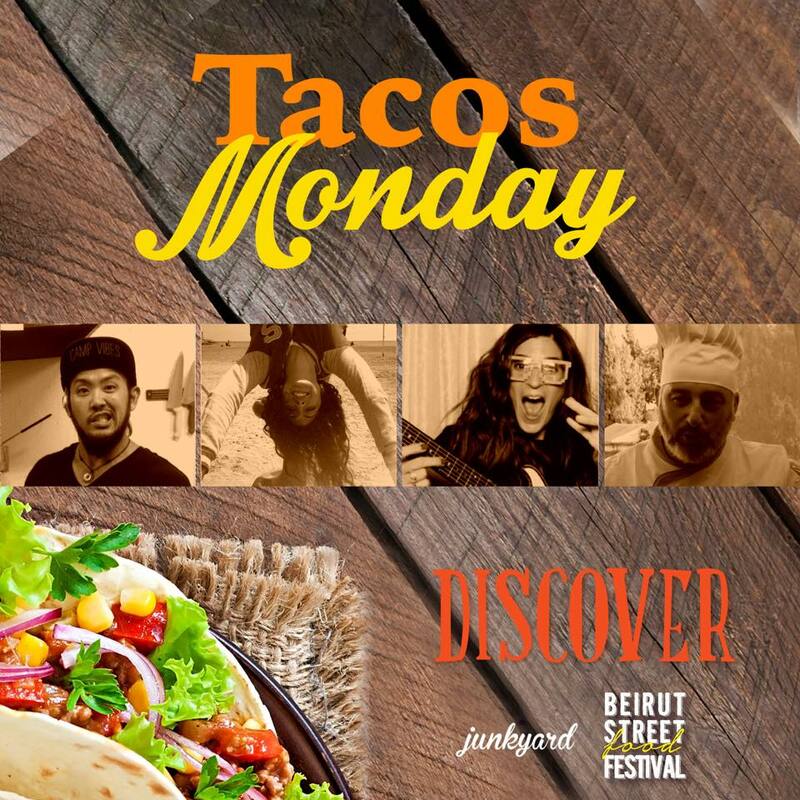 “Discover” is a series of experiments they have designed and started carrying out at the environmentally-friendly hangout spots The Junkyard (since June) and The Garden State (since July). These bi-weekly tastings are an invitation to uncover not only innovative dishes and flavors but also different chefs (whether professionals, semi-professionals or amateurs). Indeed, at each of these tastings, 2-4 new culinary artists are introduced and present the tasters with personalized dishes according to that evening’s theme. Each event proves more surprising than the last as the chefs’ creativity blooms in an attempt to challenge the traditional. But some of the most interesting things about Youmna & Zeina’s endeavors are the broader consequences of their work, which are already extending beyond their events. Thanks to the ladies’ BSFF model and their method of implementation, a great number of the featured cooks have found themselves facing exciting new opportunities. Moreover, some of the ‘chefs-at-heart’ who had never considered turning their hobby into a full time job are finally taking the plunge. Any witness to the culinary synergies they are creating would agree that Youmna & Zeina’s BSFF could become a game changer. By revealing so many diverse culinary talents to players in the hospitality industry and potential investors, they are encouraging not only the fusion of new tastes but also the growth of a new trend in the restaurant business. If people had the chance to visit a restaurant because they know the specialties of its chef, wouldn’t it be satisfying for them to know that their bill would neither incorporate the cost of the premium location, the architecture, the interior decoration nor the other elements that aren’t at the core of their outing? Real food lovers do not mind a minimalistic dining experience in a boutique restaurant consisting of a gourmet meal, a clean setting and good company (even if the latter is just a glass of fine wine!). Their aim is to satisfy their palate, without necessarily hurting their wallets. Indeed, we could point to some existing venues that are all about the food they serve (the likes of Motto restaurant, Jai Kitchen, Onno, etc. ), which attest to the popularity and success of this concept. Food is art. And just as an art collector would excitedly visit a gallery to discover what the latest addition to their collection could be, key players in the hospitality field ought to show up at the BSFF events to uncover preferred artists. As for the rest of the tasters, join the movement – even if only to enjoy the food!